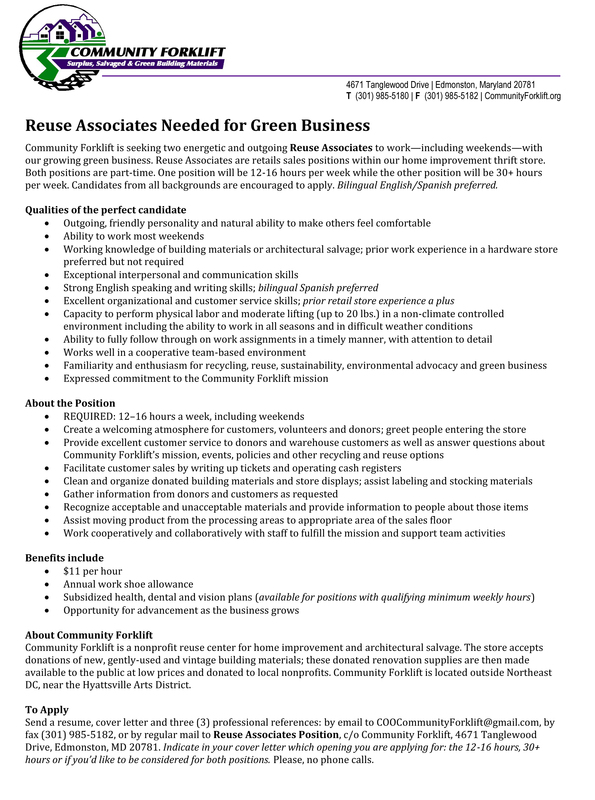 Community Forklift is seeking two energetic and outgoing Reuse Associates to work—including weekends—with our growing green business. Reuse Associates are retails sales positions within our home improvement thrift store. Both positions are part-time. One position will be 12-16 hours per week while the other position will be 30+ hours per week. Candidates from all backgrounds are encouraged to apply. Bilingual English/Spanish preferred.